This romantic combination of lavish red roses, fresh red carnations and elegant gypsophila flowers is created to represent great love and devotion. It is a lovely way to say "You hold a special place in my heart". Original size contains approximately 20 stems. 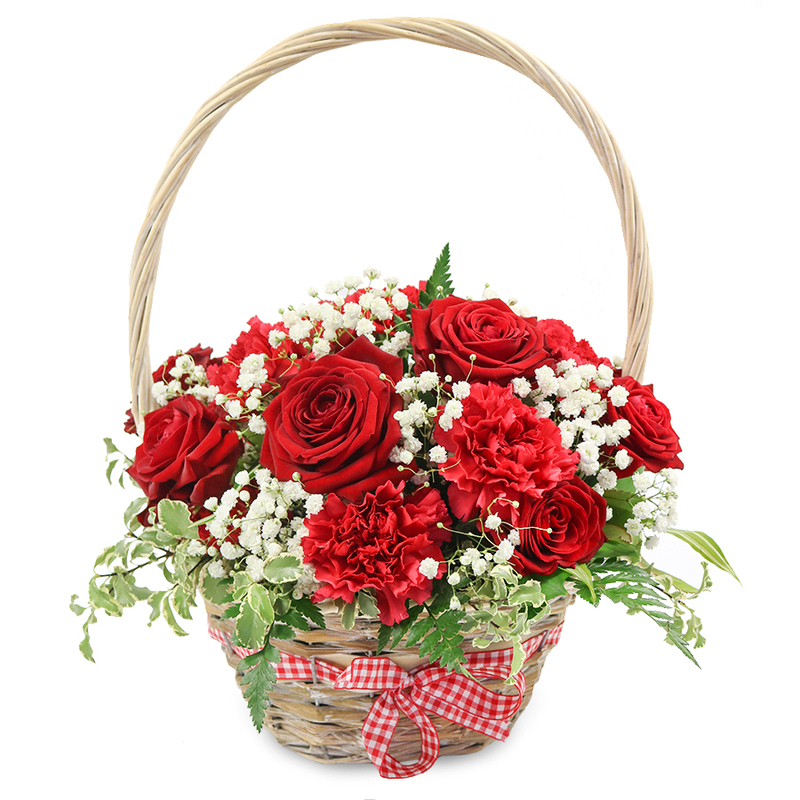 Grand size contains approximately 30 stems. The flowers were simply amazing and they exceeded my expectations. I will be sure to order some more. Thank you! Mom enjoyed the surprise very much! Timely delivery to Ipswich, thanks. They had paid attention to any single detail when arranging the basket. All of the flowers were positioned perfectly. One of the best florists in the area. Received this basket as a gift for our new home. It was delivered safely and looked amazing. The most perfect gift ever! Such a lovely basket! Can't wait to call my sister and thank her for the wonderful surprise gift! Your florists did an impeccable job! Wonderful flowers! My mom will totally love it!